Moving can be a daunting task. 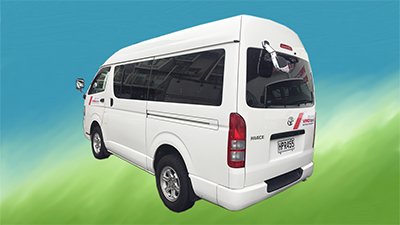 Let us make your transport easier and cheaper. We know you are smart at buying things online. Let us help you with transporting these exciting new purchases. A trip away can be so exciting. Let our late model, well maintained vehicles make your trip smoother, cheaper and more enjoyable. We can make your job easier with customised plans. 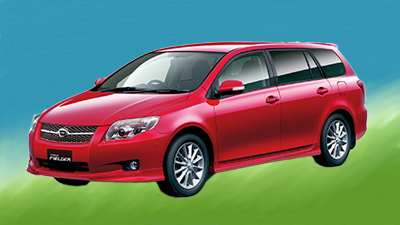 Late model medium size car or station wagon. 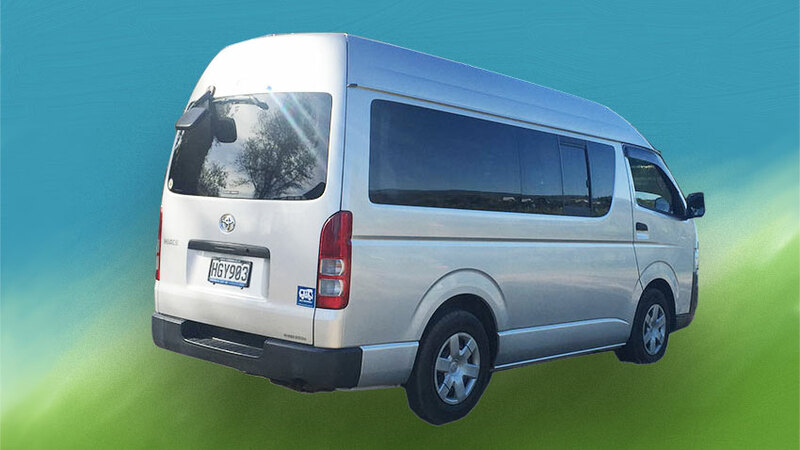 Toyota Hiace high top 2 berth camper with all camping essentials you need. 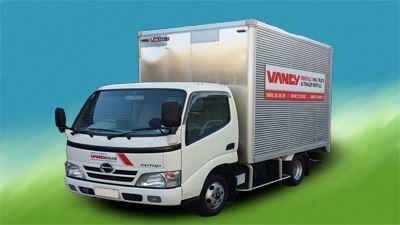 Q Do I need a special licence for renting a truck or a van? 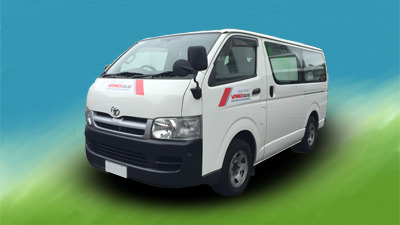 No special licence is required to rent our trucks or vans. Q Do I need to be over 21 to hire a vehicle? No, as long as you have a full class 1 driver’s licence. (Extra insurance premium apply for drivers under 25yrs). Q Can I get a vehicle with an automatic transmission? Yes, we have both automatic and manual transmission available on request. Q Can I use my overseas licence to hire vehicles? Yes, as long as it is an English version and is a valid full licence. Q How much time in advance do I need to book? Q What if we cannot return the vehicle on time? Give us a call to let us know, we can usually sort something out. Q What if I return earlier than the period I have booked and paid? The charge will stay the same as booked period as we cannot book it for any other customers. Q Do I need to refuel the vehicle before returning it? Yes, all vehicles will be supplied with full tank of fuel so refuelling is the user’s responsibility and sighting of fuel receipt is required upon return. Q Can I park my vehicle there while I hire a truck? Yes, we will do our best to make parking easy for you in our secure lock up yard. Q Can I hire from one location and return to another? 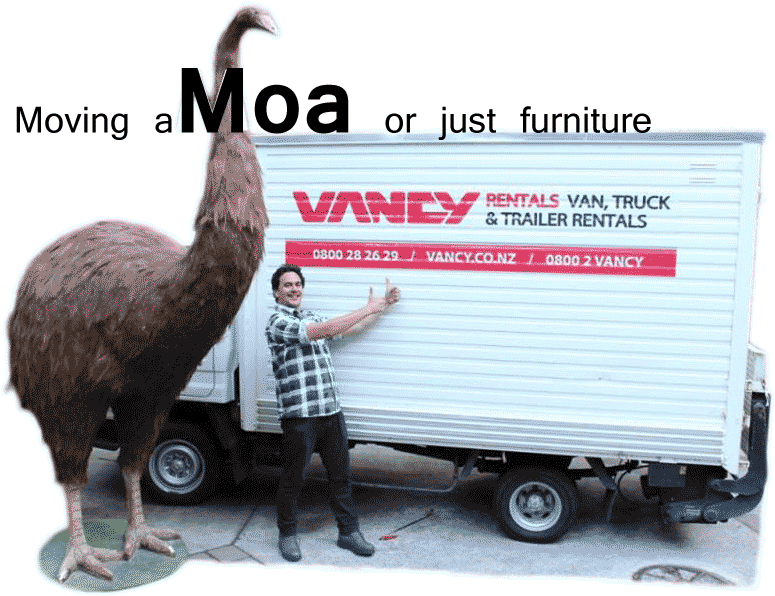 Yes, minimum hire period and relocation fee applies, please call us to enquire. Q Can I get a better deal if I hire for a long time or regularly? Yes, we can usually structure a deal that fits your purpose and budget, give us a call to discuss. Q Do I need to pay a bond? Yes, bond of $300 or a valid credit card is required for each vehicle hire. Q What are the insurance options? 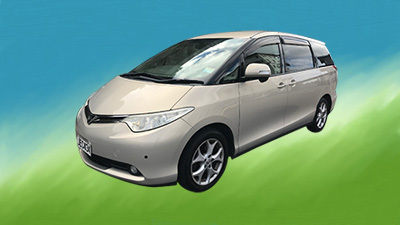 We have various insurance options for different types of vehicle. These options are avaiable when you book a vehicle. Q Do the trucks come with a tail lift? 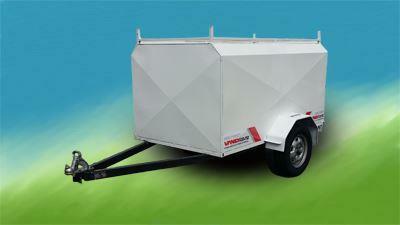 Yes, some of our trucks come with tail lifts, booking is essential. 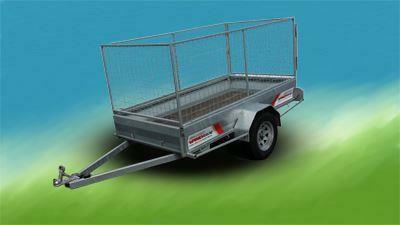 Q What size tow ball do I need to hire a trailer? Q Will my queen size bed fit in a van? Yes, a standard queen size bed with standard thickness will fit in a van. Q How much luggage can I fit in a people mover? Three large pieces plus five small pieces. 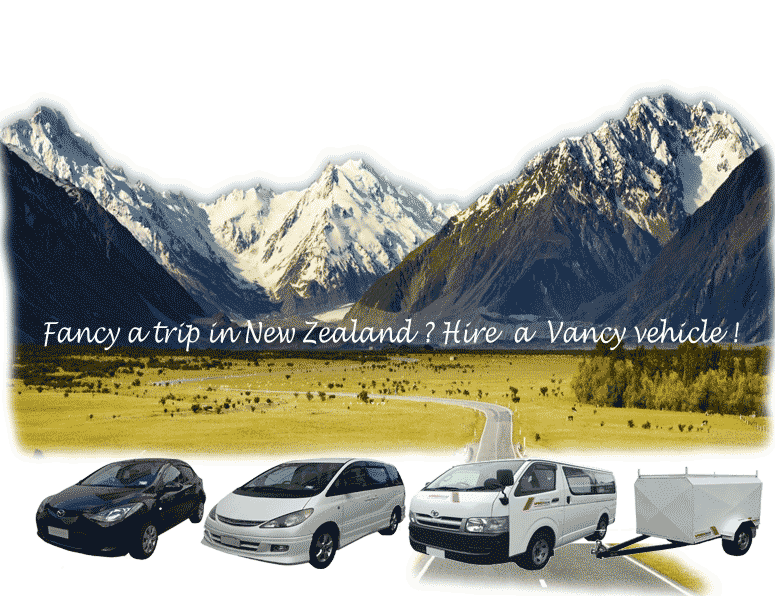 Vancy Rentals offers you hire cars, vans, trucks and trailers for your travel, moving, camping and business needs. 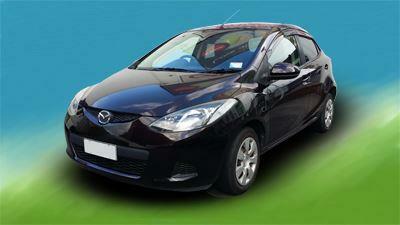 No frills – just modern, reliable, practical, fit-for-purpose vehicles. 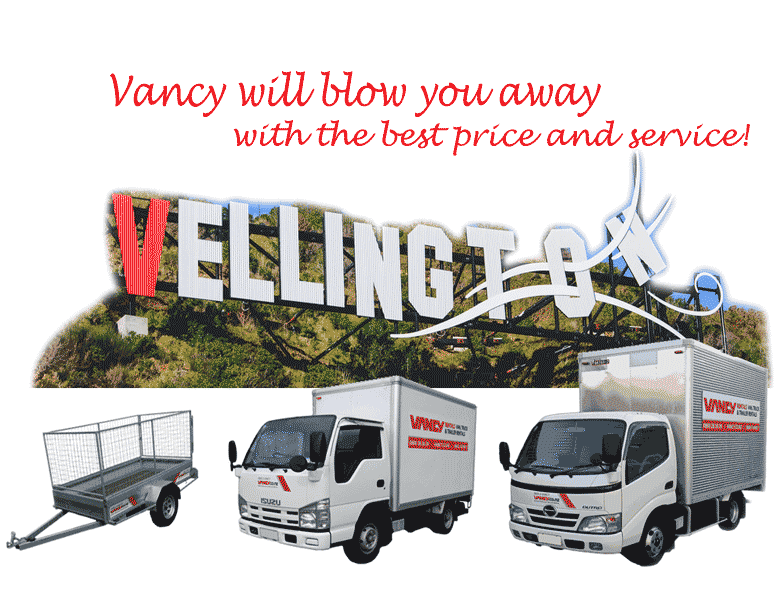 Located in the heart of Wellington, we provide great service and sound advice at a very sharp price. 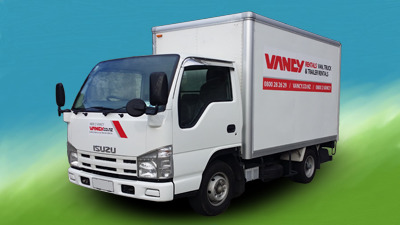 Come and see the crew at Vancy, we’ll get you on the move.